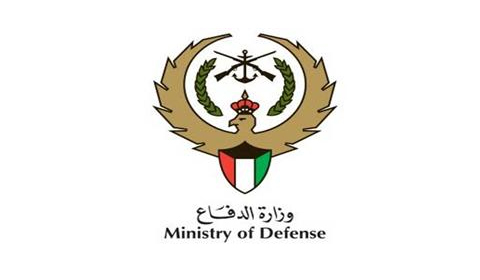 KUWAIT: The defense ministry rejected a parliamentary proposal to make it release its land near West Abdullah Al-Mubarak (site of Patriot missiles) in favor of the Public Authority for Housing Welfare (PAHW). The ministry said in its memo to the National Assembly that “its plan to protect the country from ballistic missiles and enemy attacks are based on instructions by His Highness the Amir, the Supreme Commander of the Armed Forces, to maintain the security of vital and strategic areas of the country.” The movement of the Patriot missiles will cause a gap in defensive plans and make vital and strategic areas prone to destruction, it explained. The United Arab Emirates Embassy in Kuwait denied social media reports claiming that it was offering UAE citizenships to bedoons (stateless) in Kuwait. The embassy sent a ‘tweet’ yesterday saying that reports on social media claiming that the UAE plans to naturalize Kuwait’s bedoons are categorically false. Director General of the Public Authority for Roads and Land Transport Ahmad Al-Hossan said the authority is studying the project of Kuwait’s metro. He said based on Kuwait Municipality’s request to provide it with a time schedule to start tendering the metro project, the feasibility study has been is completed by a consultative office that has contracts with the authority so that it will be carried out under the public-private-partnership (PPP) system. Meanwhile, Hossan and the Ministry of Services had told a state department that was handling the project before the roads authority was establishment not to tender the project under the PPP system due to the service nature of the project and its high cost, and also due to the risks that go along with the system. He said the commission plans to implement Kuwait’s metro project due to its importance in developing the domestic transport sector and helping in reducing traffic jams. The Ministry of Commerce and Industry is studying exempting people with special needs from paying fees for licenses of companies, sources said, adding that the types of companies are being discussed. The commerce ministry said it is keen on activating law 8/2010 regarding rights of the disabled, whose article 37 says “the disabled person will be exempted from paying fees for public services,” the sources noted.